Tim Kaine Shamelessly Fundraising from Suffering Hurricane Irene Victims | Virginia Right! If Virginians needed a reminder of what a schmuck Tim Kaine is, they need look no further than his most recent fundraising letter. Two natural disasters – a hurricane and an earthquake – hit Virginia in the past week. Millions lost their power, and countless individuals lost their homes as the floodwaters wreaked havoc on so many of Virginia’s towns and cities. But instead of coming together to provide relief for those who need it, Congressional leaders are holding emergency victims hostage in order to pursue a narrow ideological agenda. Eric Cantor and other members of Congress said they would only approve disaster relief assistance IF they could force through more spending cuts in Washington. This is the same kind of inappropriate negotiating tactics that nearly caused America to default on its financial obligations earlier this month. So, rather than borrowing more money Cantor thinks we should look at diverting wasteful spending from programs like “Gun Walker” and raiding the Gibson Guitar factory to protect unions in India to the disaster victims. Sounds like fiscal responsibility to me. 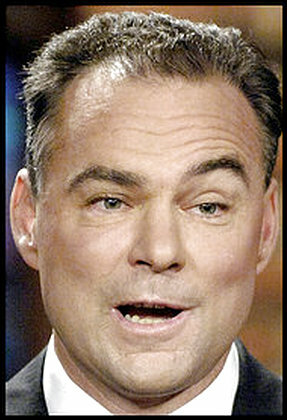 Of course, Tim Kaine is sure that Government does not wast any money and always needs more. I suppose this is another example of Tim Kainesian Economics at work. Virginia’s governor Bob McDonnell managed to spank his predecessor – none other than Timmy Kaine – by finding enough money in Virginia’s till to avoid a massive tax increase proposed by the former Governor. McDonnell balanced the Virginia budget using savings and common sense, something Democrats like Kaine find impossible to even conceive of. But for Kaine to write “they would only approve disaster relief assistance IF they could force through more spending cuts in Washington” is simply a lie. But the most egregious bit of the Kaine email was the fundraising “Donate” link at the bottom. Tim Kaine, the “ambulance chaser” of politicians. Shameful. Virginians are smarter than to fall for Kaine’s free spending and wasteful ways again. ← Incompetent Dominion Power – Outage Reporting System has Failed!